EGFR (Epidermal Growth Factor Receptors) are involved in the development and progression of many types of cancer and bowel cancer (colon carcinoma) in particular. So-called anti-EGFR antibodies are used in the treatment of bowel cancer patients, to inhibit EGFR. However, for reasons that are not yet clear, not all patients benefit from this treatment. This could be due to the fact that EGFR is not only found in the tumour cells of bowel cancer patients but also in the immune cells surrounding the tumour. This was the main finding of a study conducted by a research team led by Maria Sibilia from MedUni Vienna’s Institute of Cancer Research and recently published in leading journal Gastroenterology. “In a mouse model, we were able to show that EGFR-positive myeloid cells stimulate tumour growth. By switching off the EGFR in these immune cells, growth was as good as stopped,” explains Maria Sibilia, Head of the Institute for Cancer Research at MedUni Vienna and Deputy Head of the Comprehensive Cancer Center (CCC). The study (lead authors: Sriram Srivatsa and Mariel Paul) was conducted on an interdisciplinary basis in collaboration with oncologists from the Department of Medicine I and Department of Medicine III and pathologists. The researchers were also able to show that the prognosis for survival was poorer in bowel cancer patients, if these EGFR-positive myeloid cells are present in the tumour and also because EGFR causes increased production of the cytokine interleukin-6 (IL6) in the myeloid cells. Hitherto, no consideration has been given to the presence of EGFR in the cells surrounding the tumour (stroma), because it was assumed that its expression only played a role in the tumour cells themselves. This could also explain why EGFR therapy directed at the tumour is less effective or completely ineffective in some patients. Says Sibilia: “It could be that EGFR does not actually work in the tumour itself but that it is primarily the EGFR-positive myeloid cells that act as the “power plant” for the tumour.” Further studies. will now be conducted to check this premiss. 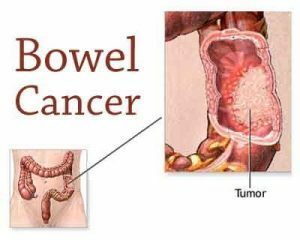 Colon carcinoma, a malignant neoplasia of the colon, is one of the commonest types of cancer in western industrialised countries, being the second commonest cancer in women and the third commonest cancer in men. Around 4,500 people develop bowel cancer in Austria every year. These research results could lead to better specification of patients in the future, namely into the group for whom anti-EGFR therapy works and the group for whom it doesn’t, or at least not very well. “This is a further step towards precision medicine, that is to say personalised medicine,” says Sibilia. This research will therefore fit in very well with MedUni Vienna’s plans to build a Center for Precision Medicine (Zentrum für Präzisionsmedizin) on the MedUni’s General Hospital Campus, so that in future it will be possible to perform gene analyses for many different types of disease even more quickly and accurately, to allow the appropriate preventive measures to be implemented sooner. In this case it would then be possible to spare a group of patients the unpleasant and unnecessary side-effects of anti-EGFR therapy, such as severe dermatitis, for example. The paper that appeared in “Gastroenterology” is directly linked to the Advanced ERC Grant that Maria Sibilia received a year ago to study immunomodulation of the innate immune system to fight cancer, as part of a 60-month European Research Council (ERC) project. Future research into bowel cancer by the Sibilia group is being financed by the Vienna Science and Technology Fund Life Science Call Precision Medicine. The paper’s lead author, Sriram Srivatsa was a PhD student in the “Inflammation and Immunity” doctoral school, which is funded by the Austrian Science Fund (FWF).